Dr Bailey Balfour Carrodus was born in Sydney on 7th March 1930 – the third child of Claude and Cara Carrodus. After the family moved to New Zealand Bailey completed his secondary education at Hastings High School. He was a good student who enjoyed life and had a particular interest in growing lilies. From high school Bailey went on to study science at Victoria University College in Wellington where he first obtained his bachelors degree and in 1952 completed his masters. After university, he worked for New Zealand Government Wine Research who sent him to Roseworthy Agricultural College in South Australia to learn about viticulture and winemaking. This led to a change in interest from lilies to vines. After returning to New Zealand, he left the government service in 1957 and returned to Roseworthy – this time as a lecturer. In 1958 he went to live at St. Mark’s College at Adelaide University where he commenced a research project in the Botany Department. In 1962 Carrodus decided on a change of scenery. He left South Australia and embarked on new research in the Faculty of Agriculture and Forestry at Oxford University leading to the award of a Doctor of Philosophy. Late in 1965 Dr Carrodus returned to Melbourne where he worked first at the Forestry School at Melbourne University and later for the C.S.I.R.O. The latter employment continued for several years after Yarra Yering produced its first vintage in 1973. He just worked the vineyard during weekends and took his annual leave during vintage. In 1969 he purchased the land that was to become Yarra Yering and for the next 40 years devoted himself to producing wine as he thought it ought to be. One of the first varieties he planted was Viognier. A luscious white varietal from the Northern Rhone. The first Viognier cuttings were brought to Yarra Yering in 1977. Only a few vines were established until 1986 when this was expanded, and then again in 1990. The first straight Viognier bottled by Yarra Yering was from the 1998 vintage. Interestingly, when making Yarra Yering Viognier the grapes are pressed and the skins are then fermented with the Dry Red No.2. 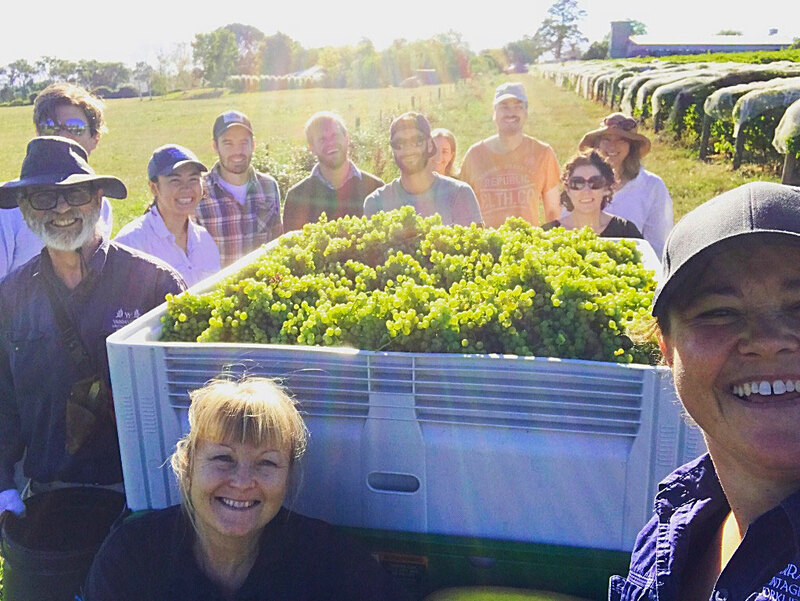 Every year the Yarra Yering staff pick the Viognier, (it’s called “compulsory fun”), and this vintage picking day fell on Doc’s birthday. To celebrate we opened a 1998 Viognier and were completely blown away by it’s freshness!